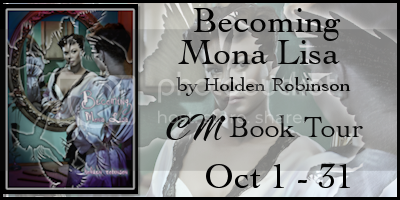 Today I have the awesome opportunity to not only give you a review and giveaway, but also interview the winner of the Honorable Mention prize in the 2012 Halloween Book Festival for Becoming Mona Lisa, author Holden Robinson! "We are not invisible because the world does not see us. We become invisible when we can no longer see ourselves." In a moment of epiphany, Mona Lisa Siggs, scratches a poignant quote on a lavender envelope. Faced with the daunting choice of saving her marriage, or killing her husband - which modern forensics has made nearly impossible to get away with - Mona decides to make one final effort to rekindle a relationship seriously on the skids. Cue the birds. Hours into their reconciliation, Mona and her husband Tom, find themselves surrounded by hundreds of crows who have made their home in Aunt Ida's trees. With the help of brother-in-law Robbie, the duo find themselves engaged in radical crow relocation methods. Effort leads to mayhem for the Siggs, as they dodge bird goo, a crazy neighbor armed with a potato gun, and local law enforcement. From the chaos, lessons emerge, those that save a relationship, and shape a life. Becoming Mona Lisa is a delightful story of love and self-discovery, delivered with side-splitting laughter. Get your copy today from Amazon or Barnes & Noble! You can also receive a signed copy by ordering through her website! I received a copy of this novel in exchange for my honest review. This has got to be the best novel I’ve read thus far this year. The characters were to me, rather realistic. Primarily because Mona’s personality is a lot like mine, so I was continuously laughing at what transpired and the fact that her reaction mimicked my own. This book was basically about Mona’s self discovery as she realizes that she and her husband have drifted apart. They decide to work on their relationship and Aunt Ida’s home, in quite comical ways. I loved the humor in this book, sometimes you just need a light fun read, and this was certainly it. This was an awesome novel, I look forward to reading more from Holden Robinson and I hope she continues to write for many years to come. Holden Robinson, born Catherine Ann Holden resides in upstate New York, in the land of trees, road construction, snow belts, and four seasons. 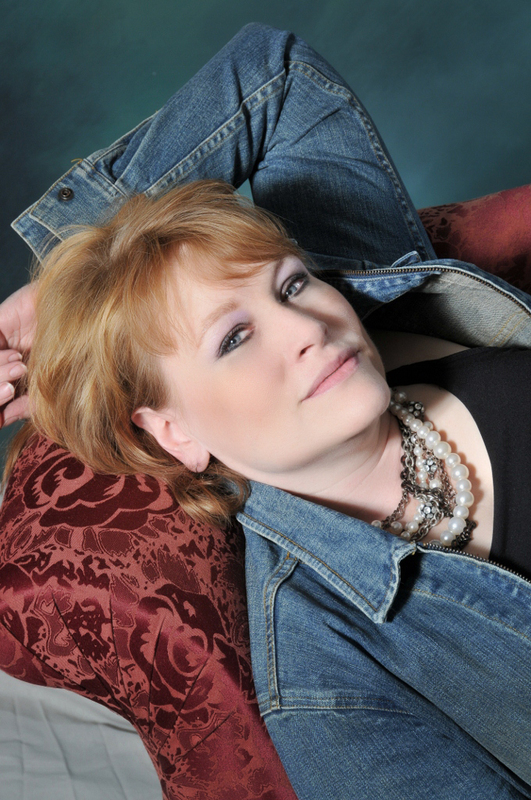 Robinson is a passionate animal activist, and shares her life with six four-legged children. Robinson aspires to merge her love for writing with her love of activism, and is at work on a poignant animal rescue story titled, And Her Name Shall Be Beloved. Q: When and why did you begin writing? A: I began writing in 2005 after my dad was diagnosed with pancreatic cancer. It is a dreadful thing to watch, a battle like that, and I needed a safe place to put the feelings and emotions I had. When my dad died in 2006, I began writing in earnest. Q: When did you first consider yourself a writer? A: That is a terrific question. I felt like a writer when I began my first novel, and sat with it a second and third time, and realized it was going to become something more than random thoughts. Q: What inspired you to write your first book? A: My first book, In the Shadow of Angels, is not yet published, which I understand is not all that uncommon. I am rewriting it at present. I was inspired by the loss of my dad, and how it impacted me. In the Shadow of Angels is the story of a single mother, following the death of her only child. As my character emerged from the grief of an unthinkable loss, I found myself more capable of coping with the loss of my beloved daddy. Q: Do you have a specific writing style? A: I don't. I tend to do a lot of what I call "freestyle writing," just hammering away until something works. Q: How did you come up with the title? A: I found the character evolving with the story, becoming someone new, or someone she once was. Once the story took on that undertone, the title rather revealed itself. Q: Are experiences based on someone you know, or events in your own life? A: My best friend inspired this book. She lived surrounded by black birds for a long period of time. In terms of character, Mona Lisa Siggs is as much of a self portrait as I feel comfortable taking artistic liberty to create. I do the things Mona does, and my life is always chaotic, with a series of unbelievable events thrown in, just for fun. Thurman Pippin, the intolerant codger next door, is based on a landlord I once had. He was an ornery son of a gun. Q: What books have most influenced your life? A: The Boxcar Children was the first book I truly loved. I dreamed of being a boxcar child, of finding hidden treasures of my own. I was spellbound. When I was a teenager, I devoured the Judy Bloom books. They taught me that someone feels like I do, someone has experienced the changes I am experiencing. I was in love with those books, too! Q: If you had to choose, which writer would you consider a mentor? A: I actually can't answer that question, which is not the answer you might expect. Every author I have ever read has helped me find my own voice as a writer. They've all mentored me in one way or another. Q: Is there anything you find particularly challenging in your writing? A: Finding the time I need to devote to my craft is a daily ordeal. My life is absolutely insane right now. Its demands leave little free time, but what I have, I spend tapping away. Q: Who is your favorite author and what is it that really strikes you about their work? A: I adore the work of Dean Koontz. That guy can tell a story. His flawless ability to mix detailed descriptions with expert storytelling is just superb. Thank you Holden, for telling us a little bit about yourself, we look forward to hearing from you again soon. Awesome giveaway! Thanks for the chance to win. I love how detailed your review is. Thank you for posting and sharing. I love learning about different authors and books I haven' heard about. Thank you, thank you, thank you for this wonderful review. I adore how much you loved Mona's story. I think we all have a Mona inside us, someone who might have fallen asleep because of life's monotony, a happier version of ourselves just crying to be set free! I am so pleased to see the comments, and others interested in this beloved book. Ladies, I thank each of you for being one of the reasons I write! New Baby Hospital Gift Bag Giveaway!